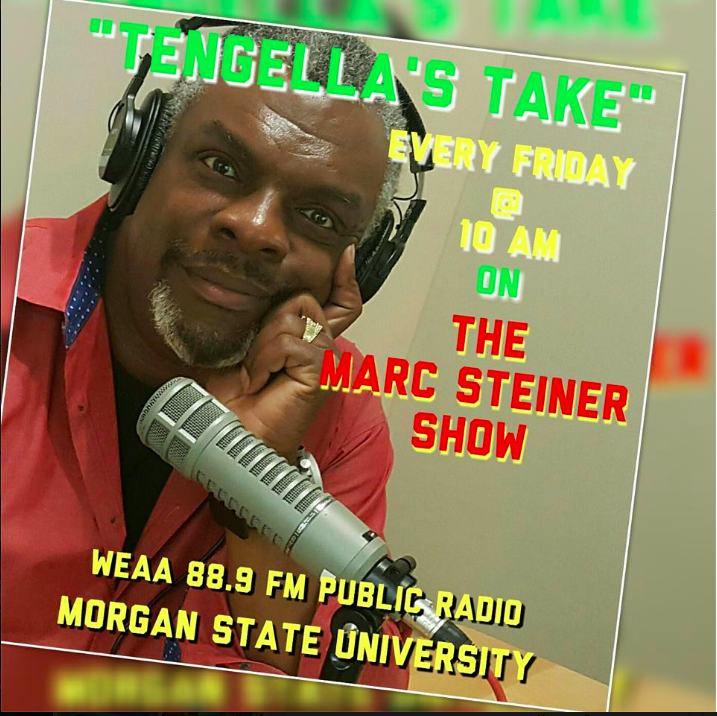 Today at Noon we discussed what is going on in Jena, Louisiana, and what it means for the entire country, and for race relations. How will this particular event go down in history? Can Jena be redeemed? And then... How do you get to be known as "legendary" while still in your 30's? I don't know, but I guess Edwidge Danticat does, because she has accomplished this. She joined us to discuss her new book, a memoir. It begins on a day in September of 2004 when she learned that her father was dying and that she was pregnant. From there it moves to her childhood, and her emigration to the U.S. Hope you enjoyed it! Today at Noon we discussed what is going on in Jena, Louisiana, and what it means for the entire country, and for race relations. How will this particular event go down in history? Can Jena be redeemed? How do you get to be known as “legendary” while still in your 30’s? I don’t know, but I guess Edwidge Danticat does, because she has accomplished this. She joined us to discuss her new book, a memoir. It begins on a day in September of 2004 when she learned that her father was dying and that she was pregnant. From there it moves to her childhood, and her emigration to the U.S. I did not enjoy yesterday’s guests (sorry I can’t tell you the name of that irritated me the most). They were not informed (did not know that M. Bell’s bail had been raised…yet they were on your show as the “experts”). I felt they added LITTLE to the conversation (other than one being able to say she was actually there). during the original civil rights movement there was a disconnect between the “connected” elders (able to garner political and media attention) and the faceless youth. The elders thought that the youth were too radical and the youth felt the elders style would get them no where. WILLY LYCHISM affects us (AA people) in every aspect of our lives. Though both could learn so much from the other…..both has such a distrust and lack of respect for the other’s contribution that the MOVEMENT is cheated of the fruits both bring to the table. As a 30 year old AA woman…..I am not sure who’s opinion was correct…. YES…we have more rights (voting, some-what fair housing, seperate but equal education, etc), but look at where we are as a people today. Black people are always waiting for something to happen…someone to come and make things better. So much emphasis was put on electing a “black” leader that when the leader was killed….we were left wandering around with out a plan for how to address the rest of our concerns (ending instiutionalized racisim, defamation, profiling, stereotypes, etc). Folk often complain that black people speak messages of victimization……but every other movement that originated in our communites that stressed independence and pride was squashed by the govenrment (namely the Panthers…who are now being recognized as innovators….Head start, breakfast programs). The “irritating” guest talked about the youth and the “hip hop” culture with obvious and unmasked disgust…..WTF is she? You cannot throw the baby out with the bath water. I am so sick of ppl who dropped the ball YEARS ago talking about hip hop as if it is the main cause of the issues in America……or in the black community – for that matter. Hip Hop is from MY people. Hip Hop is a culture which stresses making something out of nothing. Hip Hop music has created more black millionaires and entrepenuers that anything else besides sports. True….many of the messages of the music are counter productive….but why are you mad at someone for expressing things in the manner that the inspiration came to them. Everything is from GOD. I think the elders shouldlearn from their mistakes….nstead of criticizing the most influential of our ppl (sad but ture) ….We must instead educate and mentor them. People hate Farrakhan, but this man has a real message regarding hip hop and today’s youth that more non- muslims should hear. He has inspired me to give my rapping brothers and sisters a break. They need our compassion…..not our criticism. Rappers have a platform (millions live by their code – real or fake)…they are a reflection of our society. Instead of shooting the messanger…why not work on giving them something better to say. WE black ppl are are best and worst critics. I love your show Marc, but next time….get some more well rounded and informed guests. The Jena 6 rally was a monumental day in American history. Although the reasons for going may leave a bad taste in some people’s mouths…..its made many of us…..feel real proud. America loves everything about black people except us….I am sick of people giving people that have nothing positive to say about our people a platform.